Aston has introduced the Stealth, a broadcast-quality, active dynamic microphone with four switchable voices, a Class A built-in mic preamp with auto detect 48 volt phantom power and a Sorbothane internal shock-mount system. Aston said the Stealth was developed in partnership with 92 top engineers, producers and artists who participated in a series of blind listening tests. The resulting four voice settings — vocal 1, vocal 2, guitar and dark — offer a range of sounds to suit almost every application. There are two vocal settings, optimized for different vocal tones, a guitar setting which is equally suited to Spanish guitar, electric guitar cab and steel string acoustic, and a dark, vintage setting, reminiscent of classic ribbon mics. The voice settings are not EQ filters, they are contour networks, meaning the bulk of the signal does not pass through any sort of filter circuitry. The whole signal is slightly attenuated, with some frequencies being added back in at a higher level. This results in much lower phase distortion than conventional filter designs. Stealth works with or without 48 volt phantom power. In passive mode (unpowered), the active circuit is completely bypassed and Stealth operates with the simplest possible signal chain to give a beautifully clean sound. A built-in auto detect function senses the presence of 48 volt phantom power and will automatically switch the mic to active mode to utilize the onboard class A mic pre. Stealth features a fully balanced signal path from capsule to output, yielding a superior reduction of common mode noise compared with single-ended (unbalanced) designs. The new mic includes a proprietary internal shock mount design with the capsule suspended in mid-air, completely isolated from the mic chassis, and supported at three points by Sorbothane polymer hemispheres. Sorbothane is a synthetic viscoelastic urethane polymer used as a vibration damper and acoustic shield used in many industrial applications. 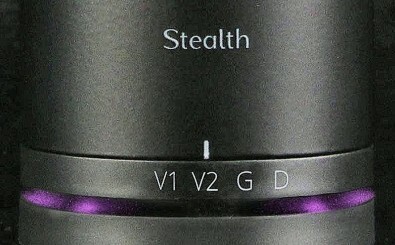 The Stealth is priced at $399.00. NO, Microphones in Cameras Are Not Good Enough!